It’s that time of year again. Time to dust off the books, refill the glue containers and figure out how the heck you are going to make your classroom look like a fun place to learn. 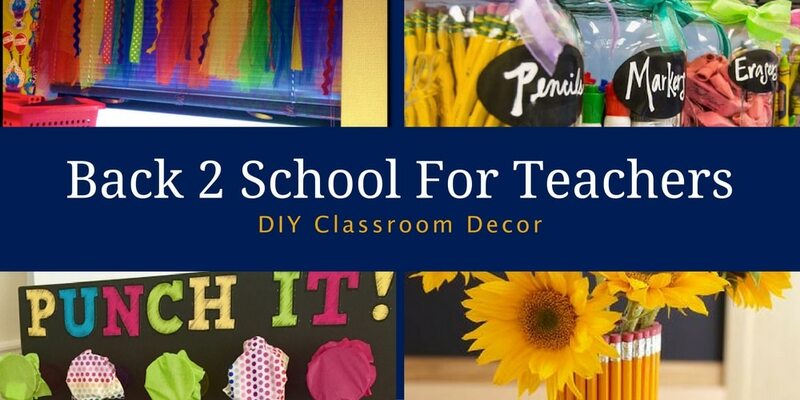 To help get the creative juices flowing, we found a couple fun, colorful DIY classroom decor projects that you can do. Oh, and did we mention they wont’ burn a hole in your wallet or bank account? Storage and organization is KEY when you are a teacher. Thanks to What The Teacher Wants, you get storage, organization and awesome decor. Use the black spray paint to paint the tops of the mason jars so they match the chalkboard labels. 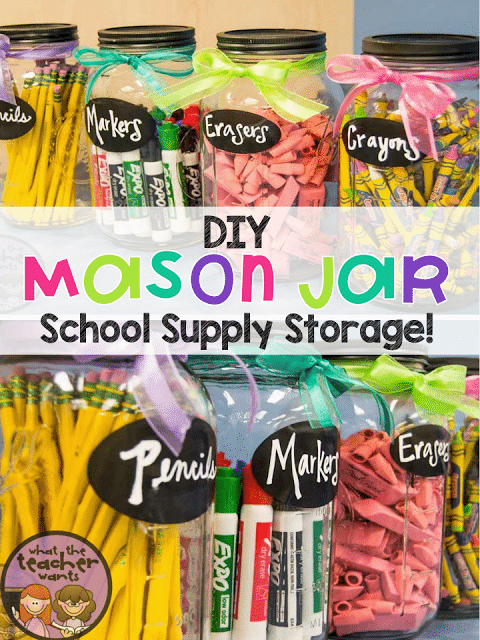 Then, attach the sticker chalkboard labels and use the chalkboard marker to label each jar appropriately. Fill each jar up with the matching supplies. Use the fun, colorful ribbon to tie a bow around the tops of the jars and you are done! All text and images are credited to WhatTheTeacherWants.com. Windows are great to have in your classroom, but lets be real, the window blinds are just not up to par when it comes to interior design. 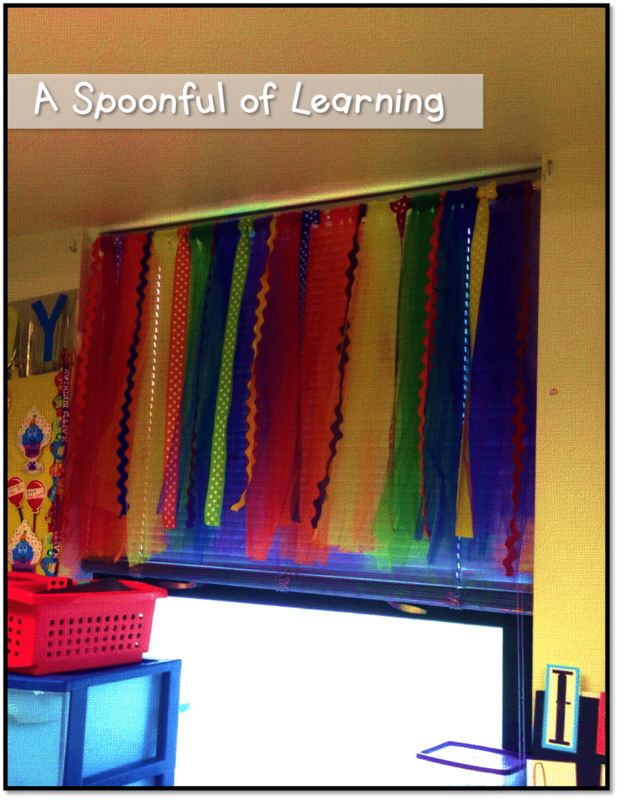 Thanks to A Spoonful Of Learning, you can have easy, custom and colorful window curtains that will brighten any classroom. Take your curtain rod and lay it out in front of you. Take a strip of tulle and fold it in half. Place the tulle still folded in half under the curtain rod. Take the two separated ends of the tulle and slide it through the loop where the tulle is folded in half. Pull it until the tulle holds on to the curtain rod. Continue doing this with your tulle all the way across the curtain rod until you are happy with the fullness. Cut strips of ribbon about 3 inches longer than the length of the tulle on your curtain rod. At different spots on the curtain rod, tie the ribbon in a knot to hold in place. Hang up your curtain rods and enjoy your beautiful new curtains! All text and images are credited to ASpooonfulOfLearning.com. Keeping your students motivated and engaged can be really hard at times. Thanks to Inspired Elementary, this board will make your students want to learn. Use the hot glue gun to glue down each cup in place and let the glue dry overnight. Place your prize strips inside of each cup. Cut the tissue paper into square sized pieces that will fit over the opening of each cup. Put one piece of tissue on each cup and secure it with a rubber band. 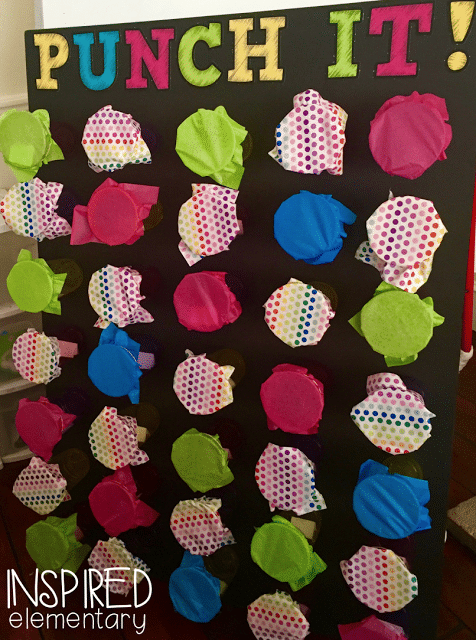 Add “PUNCH IT!” letters to the top of the board. That’s it! Easy peasy! All text and images are credited to InspiredElementary.com. Sometimes you need to bring the outdoors, in and by outdoors we mean flowers. Thanks to Celebrations, you can do just that and stick to your teacher roots. Place a rubber band around the glass and insert the pencils between the glass and the rubber band until the entire glass is covered. Hide the rubber band with a fun school themed or colorful ribbon. 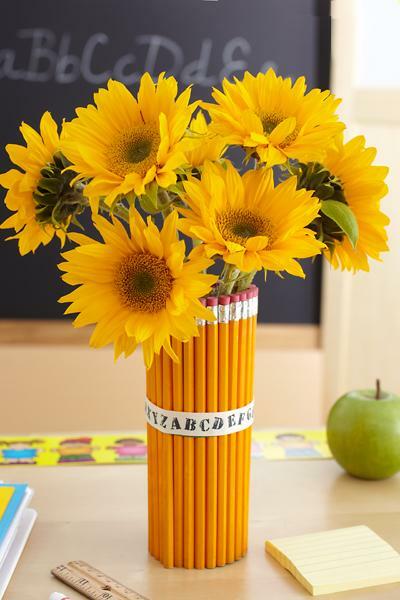 Add about 2 inches of water into the glass (easier for transporting), but make sure the teacher knows they should add more water as soon as possible to keep the flowers fresher longer. Note: Sunflowers are perfect long lasting flowers, but you can use any flowers. Flowers picked from your garden are great too! All text and images are credited to Celebrations.com.